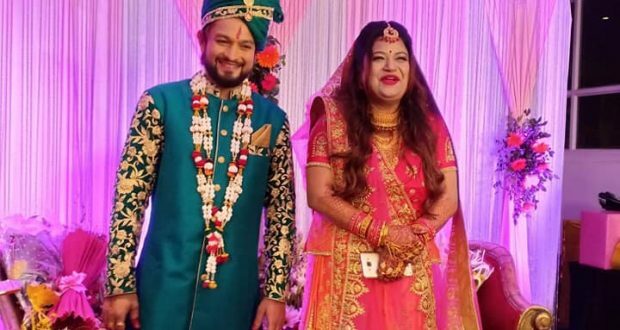 Bhubaneswar:13/12/18: Ollywood singer Tapu Mishra has tied the knot with actor Deepak Pujahari in a glittering ceremony at a city-based hotel last night. Eminiend playback ’ singer looked resplendent in a pink and peach-coloured heavily embroidered lehenga while the groom was dressed in a teal sherwani with feathered turban and a pair of matching mojaris.The event was attended by many Ollywood celebrities like actors Anu Choudhury, Usasi Misra and Buddhaditya Mohanty and legendary singers such as Pranab Pattnaik and Geeta Das. 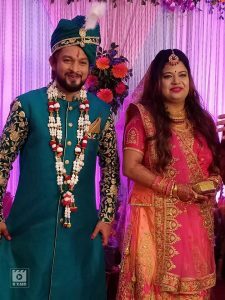 Popular singers Humane Sagar and Maadhav Dash were also spotted.The mehendi ceremony of the bride was held a day before the wedding at her residence with Tapu’s BFFs, actors Zeena Samal Panigrahi, Poonam Mishra, Elli Padhi and Usasi Misra in attendance. Keeping up with the trend of celebrities getting hitched away from media attention, Tapu and Deepak had gotten ringed in a private ceremony on Nov 9. She, instead chose social media to share the good news and sought the blessings and love of her fans. 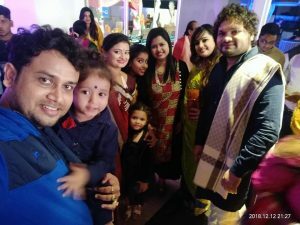 The groom Deepak, who hails from Sonepur has acted in various commercials, telly serials and Sambalpuri music videos. He has also featured in an Odia movie Aasilu Tu Jebe Jibane.